February 9 (4 pm), 17 (3 pm with fireworks at the end of the parade), 23 (5 pm); March 3 (3 pm) & 5 (4:30 pm), 2019: VIAREGGIO CARNIVAL. Viale Mazzini, Viareggio. Admission: €20 for adults, €15 for children up to age 14; children under 1,20mt (4 ft.) enter free. Music, masks, food, festivals, and floats: the tradition of Carnival is upon us in Italy, so it’s time to dress up in your best masks and party the night away. No celebration will be bigger or grander than in Viareggio, with its famous float parade. Celebrating its 146th anniversary, this year’s carnival theme will focus on women in society past and present. As always, the event will feature massive and amazing handmade floats using satire for commenting on current political, social, and climate issues. The Viareggio Carnival attracts more than 500,000 spectators each year, who crowd the city’s boardwalk to appreciate the breath-taking display of massive papier-mâché floats. Skilled attention to detail are not lost in the craft, with some of the largest floats towering at 70 feet or 20 meters over the crowds and weighing about 40 tons. An entry by Lebigre and Roger entitled “Adelante” focuses on noted figured Frida Kahlo, a female revolutionary, poet, and artist who broke all molds and went beyond the constraints of her times. Though there is one overall theme, each parade float has its own story and message portrayed through the craftsmanship. In “The Last Snow White” by Jacopo Allegrucci Mother Nature is placed in Snow White’s role with humanity’s pollutive garbage acting as the evil queen, destroying the beauty and resources of the environment. “High Tide” by Roberto Vannucci acts as a display and cautionary tale of our impact on nature, focusing on the ocean which has become the dumping grounds of humanity. A whale struggles against the tons of waste, serving as a caution to people of what could happen and need for change. “The Theory of Chaos” by Umberto, Stefano and Michele Cinquini is a more abstract display. Televisions replacing the heads of people on are meant to symbolize the goal of world powers to use media and chaos to distract the masses from bigger issues. Trump takes center stage for parody in many floats, including one titled “The Master-Drone” by Fabrizio Galli. Featuring the American president in an ornate battle armor meant to mirror the dominant character of Warhammer 40K, it means to show how Trump sees himself as a conqueror comparable to that of a character from a table top war game. Other entries also expose issues in Italy and the world, so there will be plenty of satire and commentary for any viewer to ponder. More impressive still is that the colorful floats are mechanized only as regards their transportation with all the other movement hand-powered. Each float is a celebration with singers and dancers performing and throwing confetti. 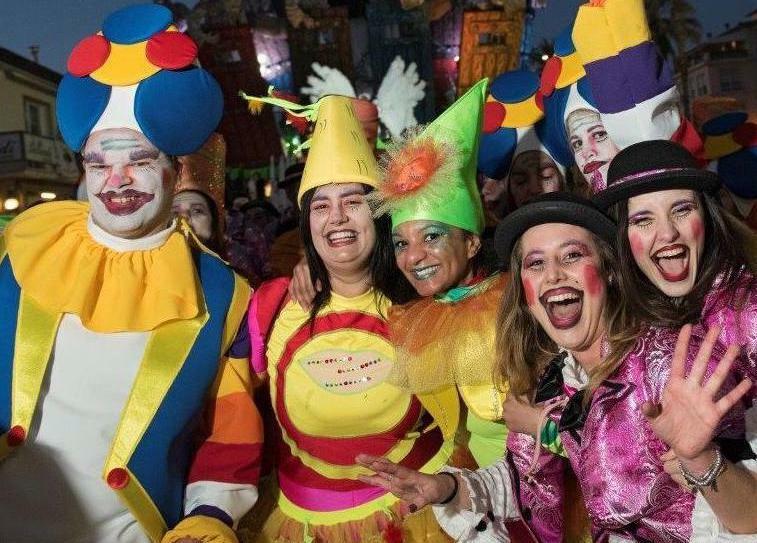 At the final March 5 parade on Fat Tuesday (Mardi Gras), there will be a proclamation of the winners for the best floats and final pyrotechnic show to finish off Carnival. In addition to the Carnival giant float parades, which take place along a 2-kilometer (1.2 mi) ring parallel to Viareggio’s boardwalk, best known as la passeggiata, guests can also admire buildings created in the early 20th century Art Nouveua style up close. Inaugurated in 2001, the complex of the Cittadella del Carnevale di Viareggio is the largest and most important Italian thematic center dedicated to carnival floats and masks. It comprises 16 large hangars and workshops where the giant floats are built, a laboratory where the art of papier-mâché is taught, three museum areas and a historical photo and film archive and documentation center.